The suspension cannot be appealed. 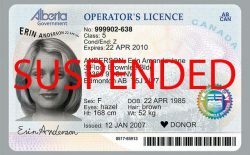 The conviction can be appealed, but you must do so as instructed on the back of the ticket or by following mailed instructions from Service Alberta. Once your license has been suspended for an alcohol-related offense, you will need to visit Registries Plus to have it reinstated. 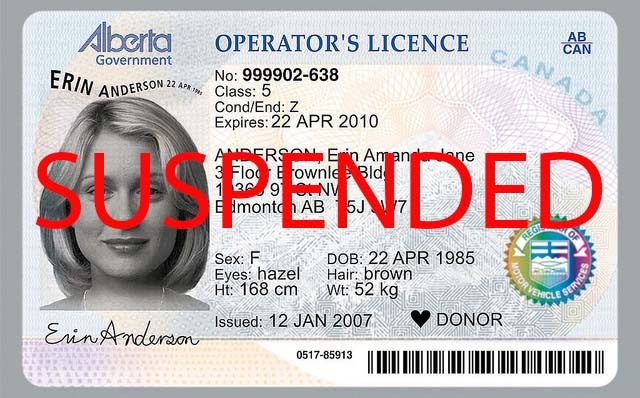 If you accumulate too many demerits, you will need to visit us to have your license reinstated.